Can You or a Loved One Benefit from Counseling? There are many reasons why people seek counseling for themselves or a family member. Sometimes it is to develop a better understanding of yourself, your goals and your values. Other reasons include enhancing skills to improve relationships, or to find new ways to cope with stress and anxiety. At other times people need to develop ways to manage anger, grief, depression, or anxiety. If you want to improve communication and listening skills or change old behaviors and develop new ones, therapy can help. You might discover ways to solve problems in your marriage or family or improve your self esteem or confidence. Therapy might help you cope with unexpected changes such as divorce or life transition. Working with a therapist can help provide support, insight, and new strategies to navigate through all types of challenges. Can Your Child or Teen Benefit from Counseling? Parents are usually the first to notice a change in their child's mood or behavior, but sometimes teachers, other family members or coaches can raise a concern as well. It can be difficult for parents to seek professional help for their child. The first step is to talk openly and honestly with your child in a caring and loving way about your concerns. Getting the issue out in the open and allowing for open communication may be enough to resolve the issue. If the problem continues, counseling may be helpful. A range of signs exist that often indicate professional help can benefit your child or adolescent. Click on either of the following to learn more. Hyperactivity, fidgeting, constantly "on the go"
Sessions with new clients begin with a careful evaluation of you and your family’s needs. Together, we develop one or more specific goals and a general plan to make therapy successful for you. Click on our services to learn more. 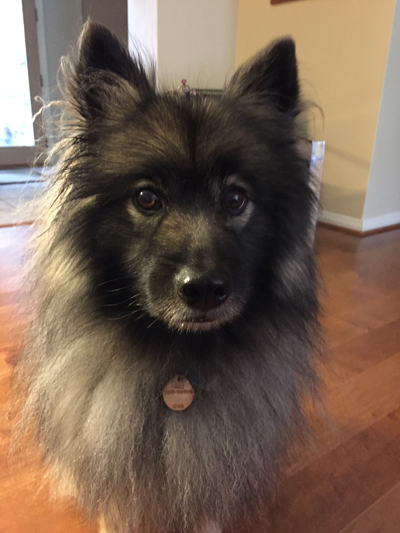 Laurie is sometimes "assisted" in sessions by Nala, her Keeshond. Clients can feel free to interact with Nala as much or as little as they wish. She loves to be petted and played with, but she also enjoys sitting quietly and just listening. Nala provides emotional support and is especially helpful during sessions with children. Please alert Laurie if you are uncomfortable with the dog being present at your session.